New center is planned for Early Childhood Programs on Community Services Campus across from the regional high school. Martha’s Vineyard Community Services got another major boost for its new early childhood center Monday night, when the regional high school committee voted to approve an expanded long-term lease for 1.9 acres of land. Community Services sits on a three-acre parcel originally leased from the high school in the 1980s. 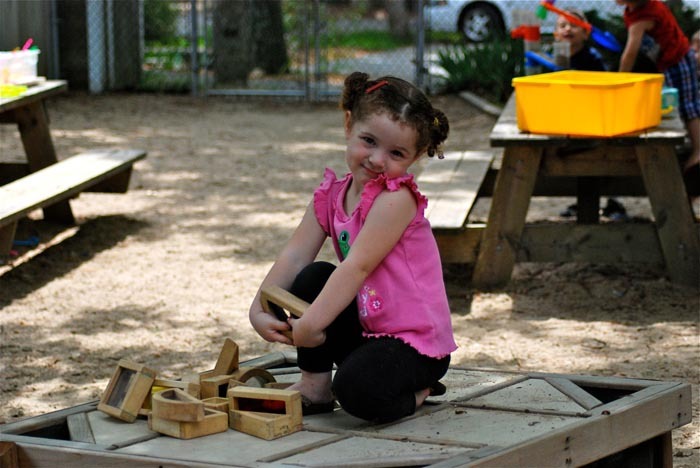 Last May, the school committee voted to gift 1.5 acres to the social service agency for the future project to build a new center to house its early childhood programs. On Monday night, the committee revisited the issue and expanded the addition to 1.9 acres to be leased to the organization. The 99-year lease will also have to be approved by the state legislature. Most of the new land lies west of the existing parcel, where the new center will be built. Less than half an acre east of the parcel was also granted, to meet square-footage requirements set by the Martha’s Vineyard Commission for wastewater management. Ms. Fay presented at the meeting along with John Abrams and Ryan Bushey of the design-build firm South Mountain Company. The project will need to clear more regulatory hurdles, including approval from the Martha’s Vineyard Commission, but first planners needed to be clear on the lot size for the project. Oak Bluffs selectman Gail Barmakian also attended the meeting and told the committee that while a septic system may be used on the new site at first, Community Services will likely be required to hook up to the town sewer system within five years. The current early childhood programs center building is 35 years old and has seen significant wear and tear, according to Ms. Fay. It is situated partly below ground, which leads to frequent flooding. The new center is the first phase of a bigger overhaul at Community Services. A new facility is also planned to house the clinic, administrative staff and disability services. Community Services received a $1 million provisional grant from MVYouth for the early childhood programs center last month. The project is expected to cost $4.28 million. Fundraising has already surpassed the halfway mark, Ms. Fay said. In other business Monday night, the committee voted to establish a high school building committee with a representative from each town and four appointees from the high school committee. Superintendent Matthew D’Andrea agreed to write a letter to each town’s board of selectmen requesting the appointment of a representative. Superintendent Matthew D’Andrea said he will be submitting another application to the Massachusetts School Building Association in the first week of April to attempt to secure state support for the project, including funding. The MSBA has rejected applications from the high school for the past three years. Vice chairman Amy Houghton asked the committee whether they need to agree on how to accept donations for a new track, especially if the donations come with conditions. The track has been the subject of considerable controversy with some advocating for the use of artificial turf there and on nearby fields and others concerned about possible health issues related to the synthetic materials. Progress with the track has also been held up as the committee considers broader renovations on the campus. Multiple committee members said having a master plan that includes land and facilities would be a helpful first step in the process of improving the athletic fields. Some suggested that the new high school building committee could be tasked with compiling such a plan. In an update to the committee, assistant principal Barbara-jean Chauvin also said the school’s greenhouse project is likely to be over budget, but she didn’t specify by how much. She said the facilities subcommittee would consider adjusting the scope of the project to fit within current budget restrictions. The committee recognized Louiz Macol Oliviera as a Massachusetts Vocational Outstanding Student and heard from students who starred in last month’s musical, West Side Story. The committee also approved donations related to the science fair.